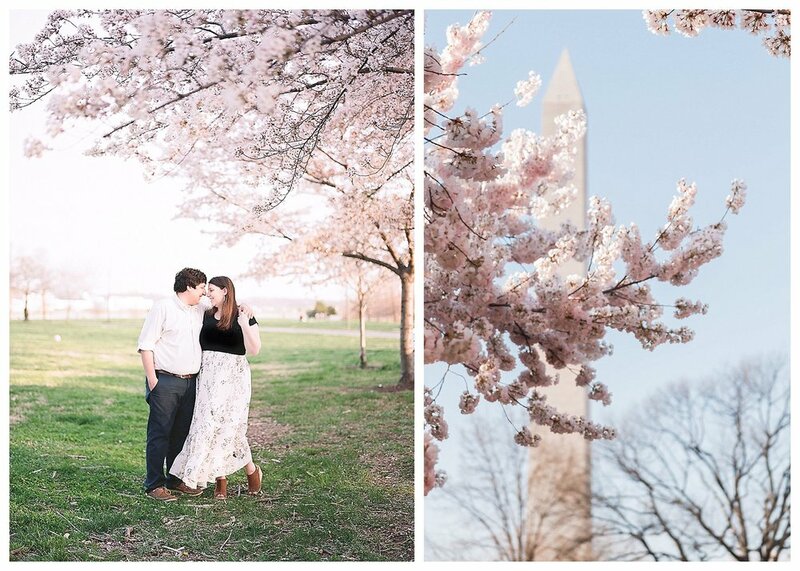 There’s no secret that spring in DC is all about the cherry blossoms, and I absolutely love cherry blossom engagement photos! One thing a lot of people don’t know is that there are a LOT of different pink trees that bloom in DC and they are all gorgeous. Beyond the cherry blossoms around the Tidal Basin there’s a variety of different cherry blossom trees as well as pink magnolia trees (which are actually my favorite). So if you happen to miss that short window of peak bloom for the cherry blossoms around the Tidal Basin, don’t worry there are so many more scattered around the city! I’ve got you covered! 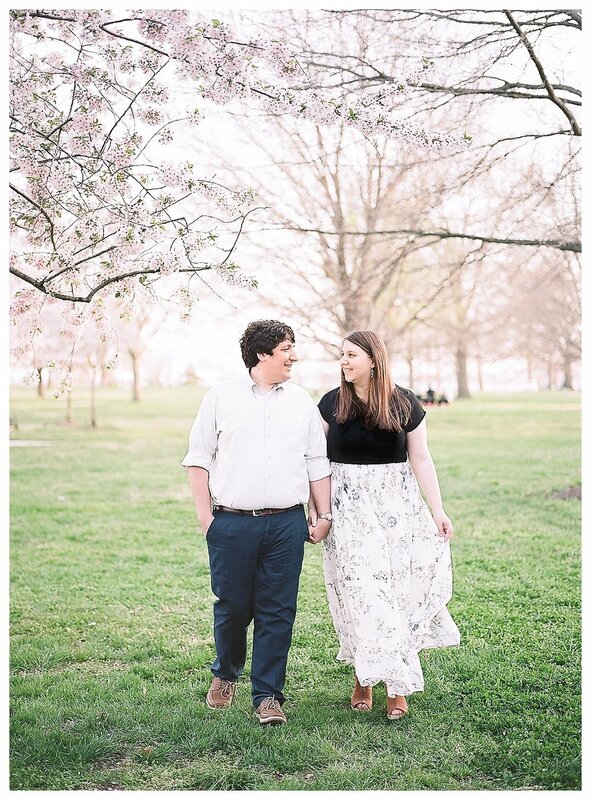 The Tidal Basin is always tops on every photographers list when it comes to engagement photos or even wedding photos during cherry blossom season. Families flock here too just to get a glimpse of the iconic beautiful pink flowers. Not to mention we’re also in competition with hundreds of thousands of tourists. So we need to know our locations and the best times to get there! Martin Luther King, Jr. Memorial is absolutely stunning. As you walk up to the memorial you can feel the history and the passion behind everything he stood for. 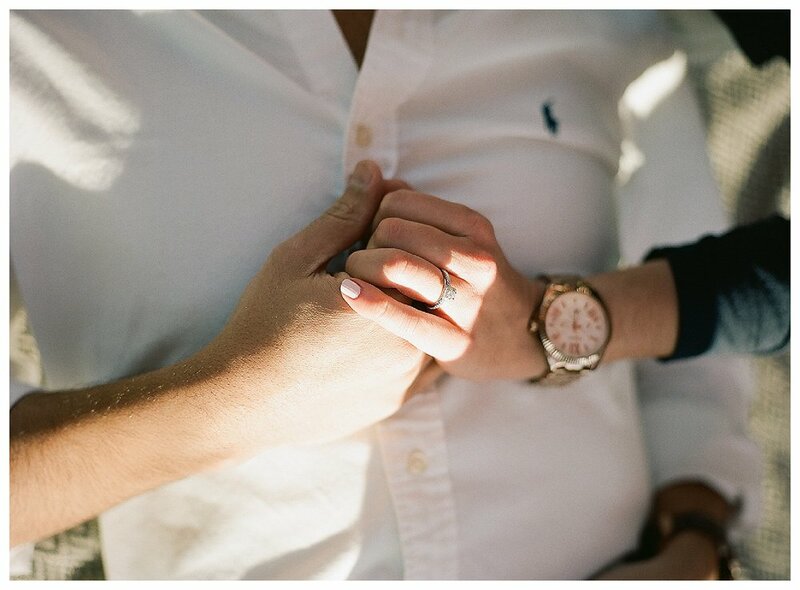 The light that bounces off the beautiful stone as well as the backdrop of the Tidal Basin is beyond perfect. Definitely a must see! Next up on my list is Hains Point. OMG this location is sneaking up on my absolute favorite in DC during cherry blossom season. There are ENDLESS rows of blossoms and you might run into a million people having picnics or throwing a football around. So you really need to head there at sunrise or close to sunset. But honestly, that’s the best time for photos! The Enid A. Haupt Garden or the Smithsonian Garden is spectacular! 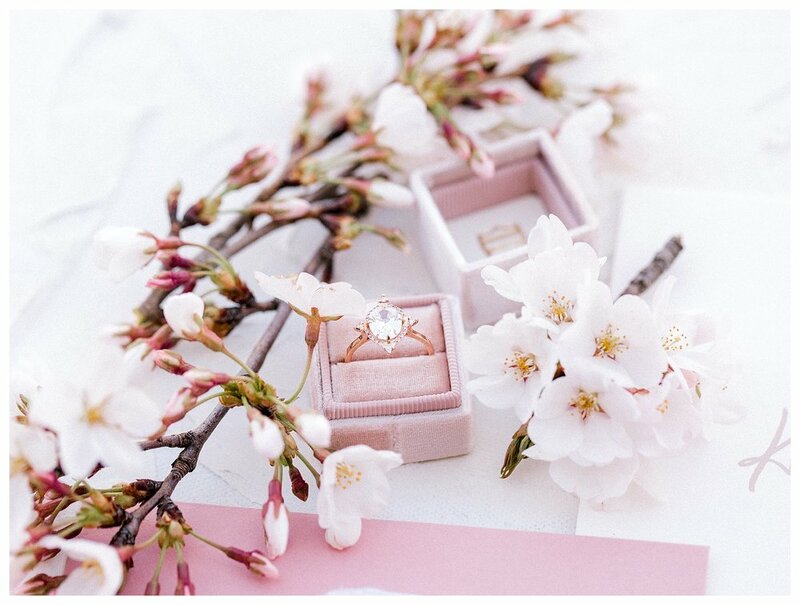 Here you’ll find a meticulously manicured garden with the most gorgeous pink magnolia trees. Sunsets here are amazing and be sure to pack a romantic picnic for two! And finally just take a walk around DC! 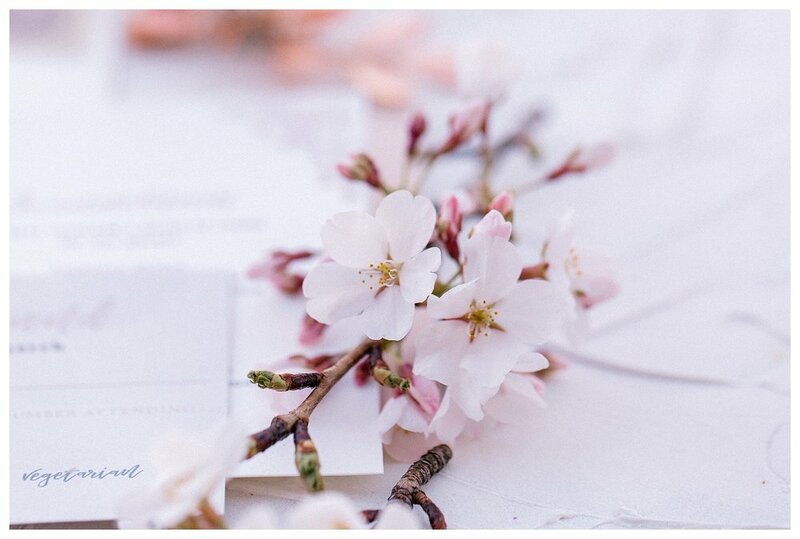 You’ll be sure to bump into the beautiful pink magnolia trees, many different types of cherry blossoms, and the beauty of this gorgeous city! I know that’s only a few locations, but some I have to keep to myself! And remember, if you want that soft glow and amazing light, set your alarm for sunrise or take the afternoon off and let’s get those sunset shots!